I got to see the 3 championship trophies the San Francisco Giants won in the last 8 seasons. 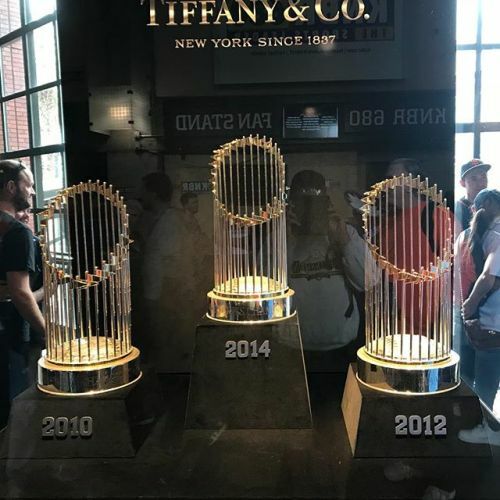 These are on display at Oracle Park, the home of the Giants, in the South Beach neighborhood of San Francisco. Originally named Pacific Bell Park, then SBC Park in 2003 after SBC Communications acquired Pacific Bell, the stadium was then christened AT&T Park in 2006, after SBC acquired AT&T and took on the name. The current name was adopted in 2019.